https://www.sizzix.com/blog/catch-a-sneak-peek-of-sew-sweetnesss-fall-2017-collection/ Organize just about anything with the Train Case die from Sew Sweetness! 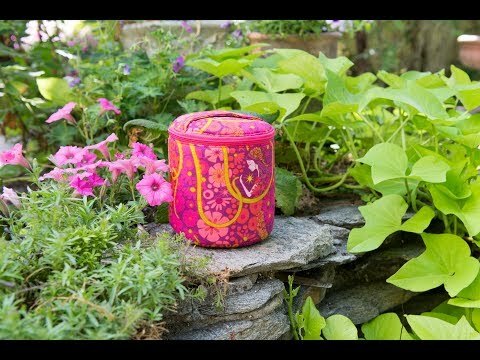 Sara Lawson shows how to make this awesome organization case with a step by step approach that is perfect for beginners! Cutting out patterns by hand is a thing of the past with this adorable die! About Designer: Sara Lawson is the designer behind the sewing pattern company, Sew Sweetness. Her passion is making bags, garments and quilts. She started her blog in September 2010 while learning how to sew as an adult. (She learned the basics in 3rd grade during weekly sewing lessons from her mom.) She began designing free bag patterns for Pellon in December 2011, and since then, has written two books, Big-City Bags and Windy City Bags. She has worked for Aurifil, Art Gallery Fabrics and Craftsy, and her patterns have appeared in many publications. In addition to sewing, Sara loves horses, reading, music and Australian Shepherds. She lives with her husband and two children in Chicago, Illinois. About Sizzix: In 1977, Ellison, the parent company of Sizzix, invented the first consumer hand-operated die-cutting machine to cut a wide variety of materials. Since then, we've led the DIY movement with imaginative solutions for every creative lifestyle. As one of the DIY market's most requested brands, we continue to develop award-winning products with unsurpassed quality to empower expression in all. From scrapbooking, cardmaking and papercrafting to fashion, quilting and home décor, and Education, we provide people of all ages and abilities the opportunity to express themselves in countless new ways. Link: https://www.sizzix.com/designer/sew-sweetness Have you ever wanted to make your own walllet? With Sew Sweetnesses new shape cutting die you can! Whether you’re a beginner or an expert when it comes to sewing, you will love this amazing die. Quilting is your life! Or perhaps you are beginning to dabble in textile crafting. The Sizzix Big Shot Fabric Series will take the guesswork out of precise cutting and creating. Not only are you saving time by cutting multiple layers of fabric at once, think of the shapes that you can replicate over and over with the turn of a handle.The possibilities only stop at your imagination with a manual machine at your fingertips. About Designer: Sara Lawson is the designer behind the sewing pattern company, Sew Sweetness. Her passion is making bags, garments and quilts. She started her blog in September 2010 while learning how to sew as an adult. (She learned the basics in 3rd grade during weekly sewing lessons from her mom.) She began designing free bag patterns for Pellon in December 2011, and since then, has written two books, Big-City Bags and Windy City Bags. She has worked for Aurifil, Art Gallery Fabrics and Craftsy, and her patterns have appeared in many publications. In addition to sewing, Sara loves horses, reading, music and Australian Shepherds. She lives with her husband and two children in Chicago, Illinois. About Sizzix: In 1977, Ellison, the parent company of Sizzix, invented the first consumer hand-operated die-cutting machine to cut a wide variety of materials. Since then, we've led the DIY movement with imaginative solutions for every creative lifestyle. As one of the DIY market's most requested brands, we continue to develop award-winning products with unsurpassed quality to empower expression in all. From scrapbooking, cardmaking and papercrafting to fashion, quilting and home décor, and Education, we provide people of all ages and abilities the opportunity to express themselves in countless new ways. 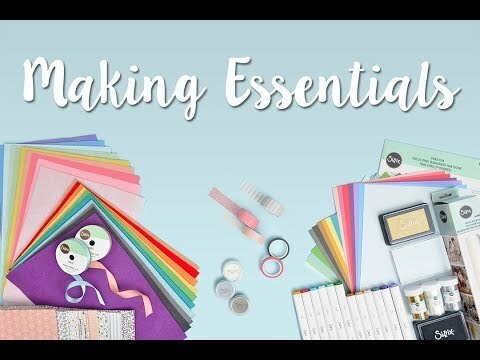 Link: https://www.sizzix.com/designer/sew-sweetness Take a sneak peek at Sarah Lawson's AMAZING new dies to help you stay organized at home. Quilting is your life! Or perhaps you are beginning to dabble in textile crafting. The Sizzix Big Shot Fabric Series will take the guesswork out of precise cutting and creating. Not only are you saving time by cutting multiple layers of fabric at once, think of the shapes that you can replicate over and over with the turn of a handle.The possibilities only stop at your imagination with a manual machine at your fingertips. About Designer: Sara Lawson is the designer behind the sewing pattern company, Sew Sweetness. Her passion is making bags, garments and quilts. She started her blog in September 2010 while learning how to sew as an adult. (She learned the basics in 3rd grade during weekly sewing lessons from her mom.) She began designing free bag patterns for Pellon in December 2011, and since then, has written two books, Big-City Bags and Windy City Bags. She has worked for Aurifil, Art Gallery Fabrics and Craftsy, and her patterns have appeared in many publications. In addition to sewing, Sara loves horses, reading, music and Australian Shepherds. She lives with her husband and two children in Chicago, Illinois. About Sizzix: In 1977, Ellison, the parent company of Sizzix, invented the first consumer hand-operated die-cutting machine to cut a wide variety of materials. Since then, we've led the DIY movement with imaginative solutions for every creative lifestyle. As one of the DIY market's most requested brands, we continue to develop award-winning products with unsurpassed quality to empower expression in all. From scrapbooking, cardmaking and papercrafting to fashion, quilting and home décor, and Education, we provide people of all ages and abilities the opportunity to express themselves in countless new ways. Link: https://www.sizzix.com/designer/sew-sweetness Sarah Lawson from Sew Sweetness has some AMAZING new dies to help you stay organized at home. Quilting is your life! Or perhaps you are beginning to dabble in textile crafting. The Sizzix Big Shot Fabric Series will take the guesswork out of precise cutting and creating. Not only are you saving time by cutting multiple layers of fabric at once, think of the shapes that you can replicate over and over with the turn of a handle.The possibilities only stop at your imagination with a manual machine at your fingertips. About Designer: Sara Lawson is the designer behind the sewing pattern company, Sew Sweetness. Her passion is making bags, garments and quilts. She started her blog in September 2010 while learning how to sew as an adult. (She learned the basics in 3rd grade during weekly sewing lessons from her mom.) She began designing free bag patterns for Pellon in December 2011, and since then, has written two books, Big-City Bags and Windy City Bags. She has worked for Aurifil, Art Gallery Fabrics and Craftsy, and her patterns have appeared in many publications. In addition to sewing, Sara loves horses, reading, music and Australian Shepherds. She lives with her husband and two children in Chicago, Illinois. About Sizzix: In 1977, Ellison, the parent company of Sizzix, invented the first consumer hand-operated die-cutting machine to cut a wide variety of materials. Since then, we've led the DIY movement with imaginative solutions for every creative lifestyle. As one of the DIY market's most requested brands, we continue to develop award-winning products with unsurpassed quality to empower expression in all. From scrapbooking, cardmaking and papercrafting to fashion, quilting and home décor, and Education, we provide people of all ages and abilities the opportunity to express themselves in countless new ways. Do you know what Sara Lawson of Sew Sweetness's favorite TV show is? What about her favorite pizza topping, or the first time she used a Sizzix machine? 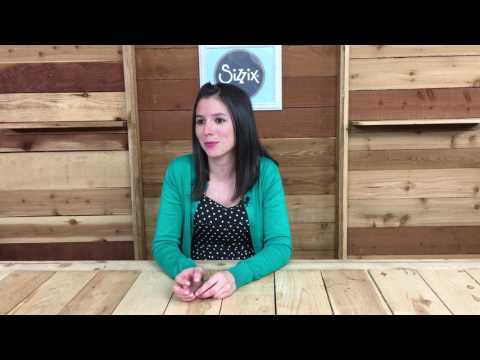 Get the answers to these questions and more, as we learn a little bit more about our newest Sizzix Licensed Designer. 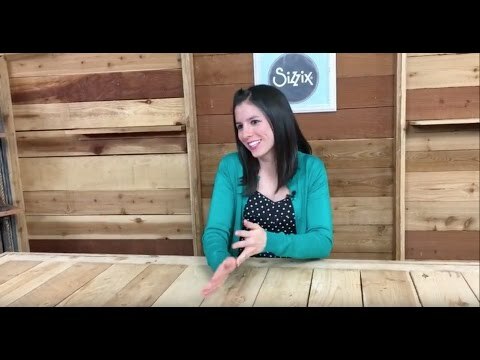 Meet Sizzix Licensed Designer Sara Lawson- step in to her world to learn more about the inspiration of her collection and what shapes her creativity. 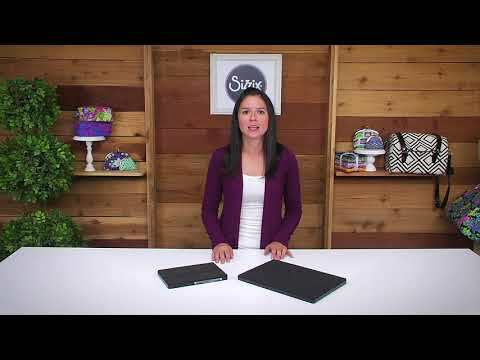 Sizzix's newest Licensed Designer is Sew Sweetness. Sarah Lawson, the genius behind these easy to make bags and tabs. Take a look at the Sew Sweetness Spring Market debut.